Bright sun and 40 degree temperatures delighted members of the Athol Bird and Nature Club as they searched the local area Saturday for signs of spring. 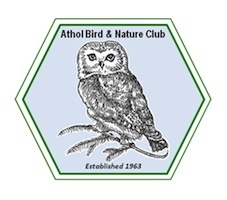 At the Athol High School ABNC members found many birding friends belonging to the South Shore Bird Club gathering for their trip around the North Quabbin Region led by naturalist David Ludlow of Marshfield. This area draws coastal birders to this winter birding destination where Bald Eagles, Ravens, and Wild Turkeys may be found. After comparing notes the groups separated with the local group lead by club president Dave Small traveled to Petersham’s Maple Lane. Mourning Dove, American Goldfinch, American Crow, Blue Jay, the first of many Robins, House Sparrow, European Starling, Downy Woodpecker and Black-capped Chickadee were noted. The day’s first true harbinger of spring was a singing male Red-wing Blackbird near Perkins’ Farm. Also in the vicinity were a both a Red-tailed and Cooper’s Hawk. Stopping along East Street American Tree Sparrow, Northern Cardinal, Tufted Titmouse, and House Finch were observed. At North Common Meadow a pair of Red-shouldered Hawks flew past the group landing long enough along the forest edge to be observed with telescopes. Eastern Chipmunks and Wild Turkeys near Monson Turnpike, and a pair of Horned Larks at Orange Airport rounded out the morning’s trip. The next club event will be March 10. Bill Gette, director of the new Massachusetts Audubon Society Sanctuary at Joppa Flats in Newburyport, will explain the plans for this gateway to Plum Island and how it will enhance the clubs regular visits to the area. This free program will be held at the Harvard Forest Fisher Museum in Petersham at 7:00 P.M.